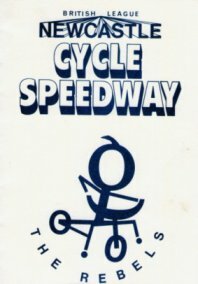 Cycle Speedway was up and running on Teesside before Newcastle and South Shields started their ‘60s revival. 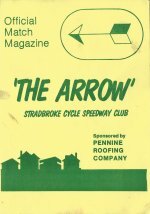 Speedway had returned to Middlesbrough in the early years of the decade, as in Newcastle, and the Cycle Speedway Annual of 1965 (which reported on the comings and goings of the 1964 season) listed three teams in the Middlesbrough area, including Holmewood Devils, run by the 14 year old Frank Auffret, and Thorntree Bees, headed by Brian Horn. 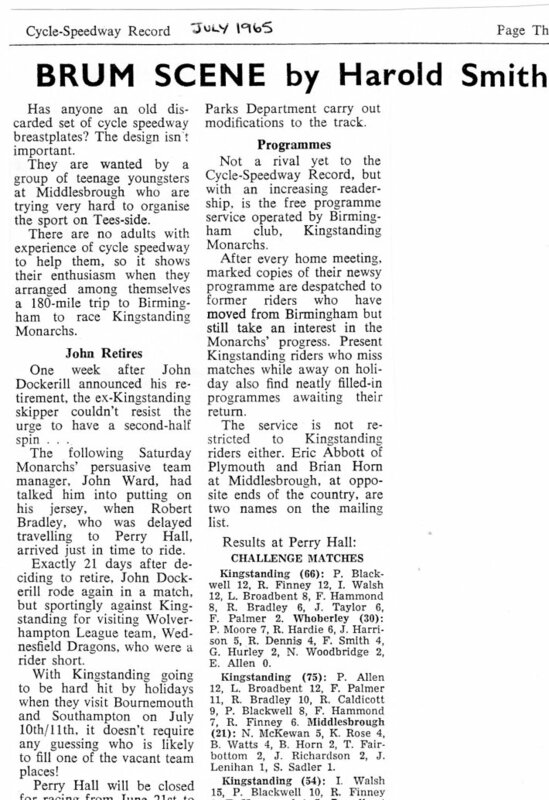 Brian seems to have been the organising force behind the sport in the Teesside area at that time, and he took a young Middlesbrough side down to Kingstanding in the early part of the 1965 season, as reported in the first edition of the Cycle Speedway Record, in Harold Smith’s Birmingham column. 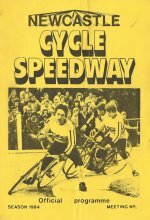 Several other teams were listed in the 1966 edition of the Cycle Speedway Annual , including Middlesbrough Bears and Thornaby Pirates. 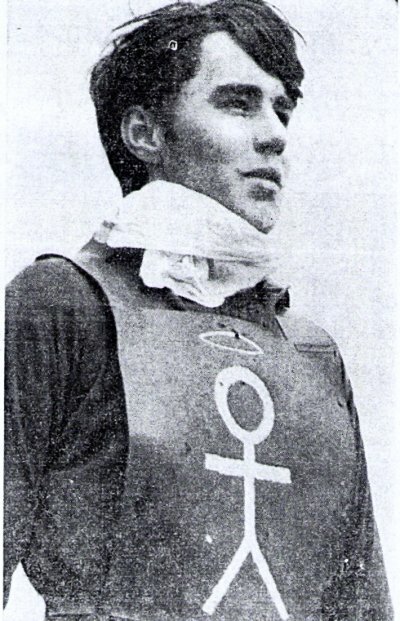 The Secretary of the latter – John Wain – came to study at the Marine College in South Shields and rode in some meetings during the 1967 season. From what he said – and from what Frank Auffret also explained – there was no real organised league structure, and the riders who formed the members of one team one year then raced under a different name the next year. 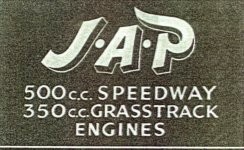 They did have an Individual Championship meeting in 1965 – the winner was D. Bean. 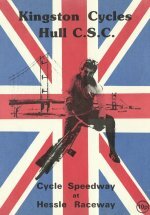 As reported in the Newcastle 1960’s section of the site, contact was made with Middlesbrough when Newcastle raced a match against them on a track at Stockton Racecourse. 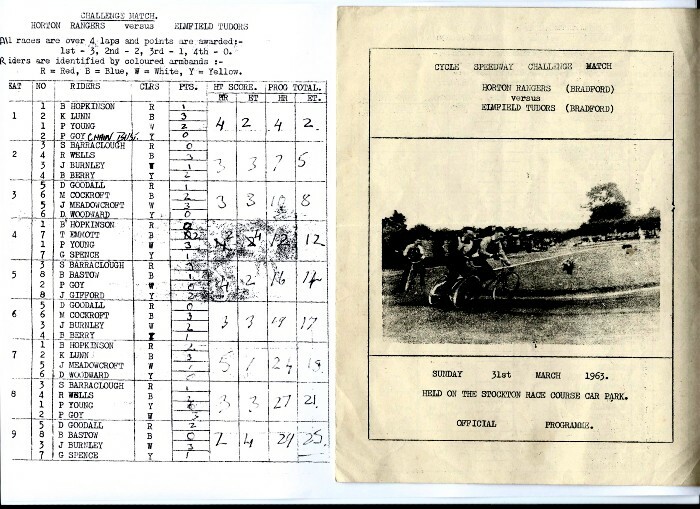 Although a photographic record exists, there is no score chart extant – but the names of the riders wearing Diamonds race-jackets on that day can be worked out from the photographs. This introduced Frank Auffret to the Tyneside teams and began an association between him and the South Shields club (and on at least one occasion with Newcastle), but his ambition was always to revive a genuine Middlesbrough team, which he achieved when he persuaded Saltersgill Youth Club to allow him to construct a track in their grounds, and he raced for Saltersgill Saints until he moved into Speedway proper with Middlebrough, after taking Saltersgill into the Northern League, recruiting Jimmy Graham and Kenny Kerr to strengthen their ranks. 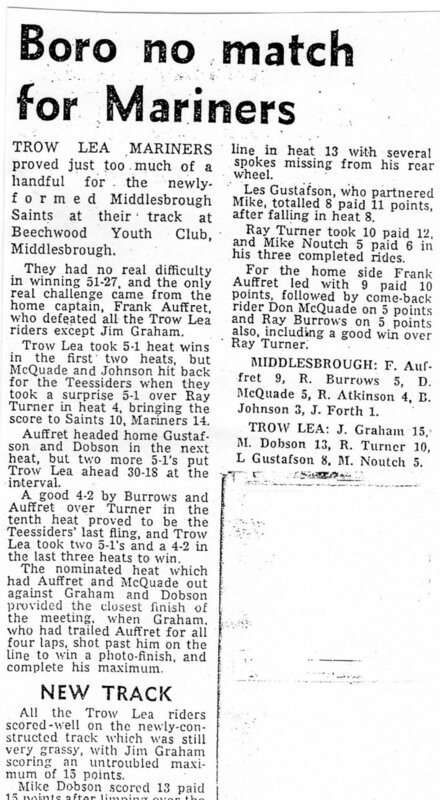 Kenny won the 1969 Tyneside Open wearing the Middlesbrough club's colours, and there was talk of Saltersgill riders entering that year's Yorkshire Individuals, but the Sheffield and Halifax Associations could not agree the format for the event, so it did not take place. The trio of Jim Graham, Kenny Kerr and Frank Auffret, backed up by Dave Tilley, gave Saltersgill a solid look in their 1969 Northern Premier League II matches against Carrs Wood, Didsbury (both Manchester), Sheffield and Parkwood (also Sheffield). but in the 1970 campaign Graham and Kerr were not available and the "Tees-Side" team (re-named to be geographically more identifiable) had to fall back on the line-up which had appeared in the match report from 1968 below, and suffered heavy away defeats, as well as some close home defeats. 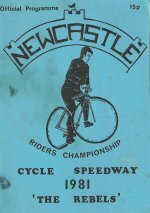 One advantage was that Newcastle had also joined the League, so there were some opportunities for local derbies, but the League collapsed part-way through the season, and activity on both Tees-side and Tyneside followed suit. Ken Rose, Brian Horn and John Lenehan from that meeting had also been in the team at Kingstanding some months previously, as had Nigel McKeon, who had laid out the track at Stockton Racecourse on which Middlesbrough raced Newcastle. 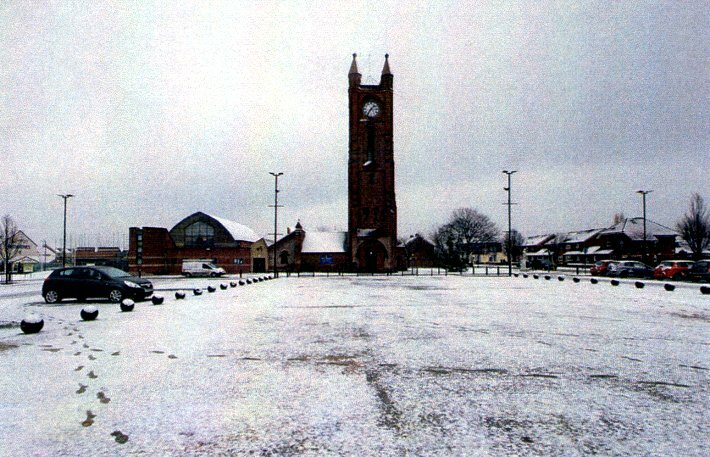 A recent discovery on E-Bay has highlighted what was possibly the first use of the Stockton Racecourse Car Park as a temporary track (the Racecourse site - now a Retail Park - was in fact in Thornaby, on the south bank of the Tees, opposite Stockton itself). A Match Programme from 31st March 1963 contains the details of what was probably an Exhibition Match - filmed by Tyne-Tees TV apparently - designed to promote and publicise the sport in the area, but it did not feature any participants from the Middlesbrough district - rather two teams from Bradford (Horton Rangers v Elmfield Tudors) who had travelled up for that specific purpose. 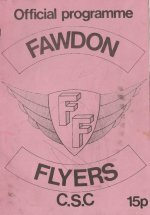 (In fact, it was more of a match between two Bradford Select sides, as the Horton and Elmfield teams were supplemented by riders from other Bradford sides, Bowling Aces and Bradford Moor Vulcans). Fortunately, Tony Emmott, a fellow-member of the VCSRA and contributor to its magazine "Track Record", rode in the meeting and still remembers some of the details of that day. 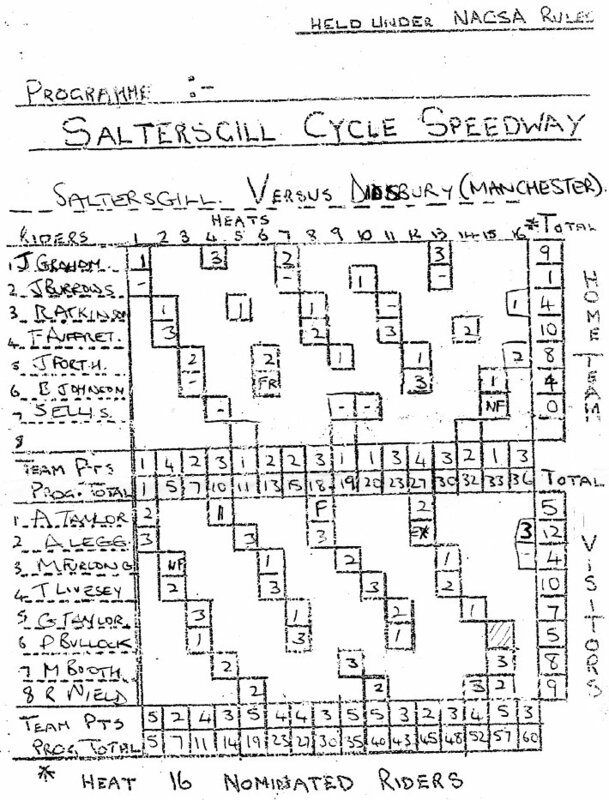 This is particularly fortunate, as the last six heats in the programme were not filled in, so it is through Tony that the final score of Horton 53 Elmfield 43 is known, and that the top scorers were the well-known Bradford riders Mike Cockcroft, Robin Wells, and Kit Lunn on 11 points each, and Jim Meadowcroft and Paul Goy with 9 points each. The programme encouraged anyone living locally and interested in taking up the sport to contact a Mr. V. Wieland of Acklam, Middlesbrough. 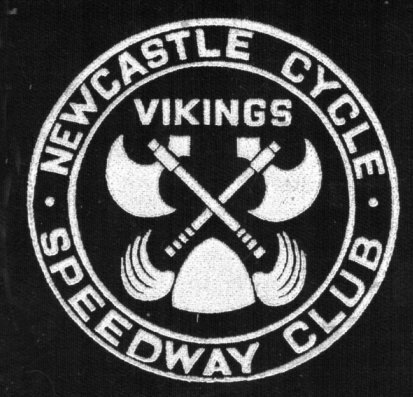 A Vic Wieland had been involved some twenty years previously in the promotion of Middlesbrough Speedway at Cleveland Park, so maybe it was he who invited the Bradford teams to give the demonstration match. It is not known if teams were already operating in the Middlesbrough area in 1963 in the wake of that meeting, but there was activity in 1964, as highlighted in the opening paragraph of this section. 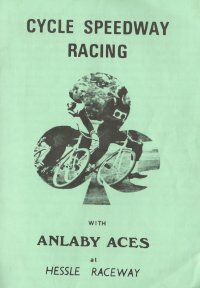 “Information about post-war Cycle Speedway in the Tees area is very scanty. As mentioned in the 1940-50 section of the site, Billingham Hornets appear in 1949, and a K Aleringham from Middlesbrough wrote to one of the sport’s publications in 1950 to invite riders to join his team , whatever it was called. 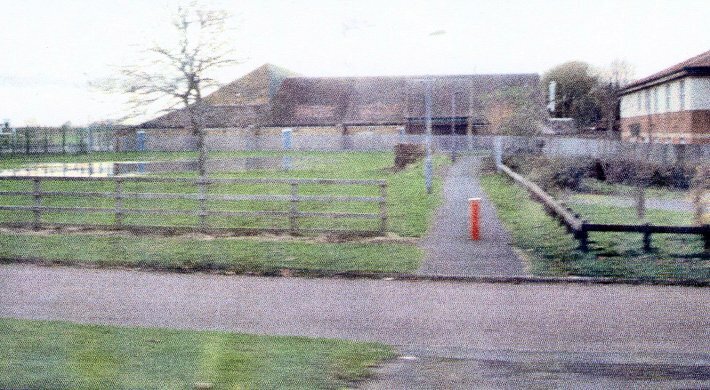 Billingham Panthers are also named as a Teesside team, but the era of their activity is not known.